Sherie in action as "Whitney"
Sherie Yvette was simply stellar and gave a dynamic performance as Whitney Houston and Diana Ross. She was extremely personal and professional at all times with my guests. During her performance, everyone in the audience was made to feel so special as she interacted with them. Her attire, make-up, hair and accessories were on point. Not only did she look the parts, she individually embodied the gestures, grace and poise of both Whitney and Diana. I encourage anyone looking to hire a class act performer to invest in a Sherie Yvette performance. She "brought the house down," at my event and; in the week since, she has been the topic of conversation amongst ALL my guests. 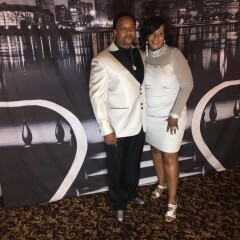 Thank you Sherie Yvette for making my event so memorable. Job well done...job superbly done well!!! If Whitney were still alive today, I would have sworn you were her as you entered the room. I have seen many try to emulate her, yet fall short every time. You, however, were the very essence of Whitney. Few have the ability to capture her poise, grace, charm and style, but you pulled it off without a hitch. Thank you for making my birthday celebration a success. The feedback I received from my guests also paralleled my sentiments. If they were to ever make another film chronicling the life of "the Voice", I hope they come looking for you. You truly did a fantastic and most impressive job. Thanks again. May God continue to shower his love and blessings upon you. Thanks so much Buster. I had an awesome time entertaining you and your guest. Keep me in mind for future events. Ms. Sherie was Amazing. 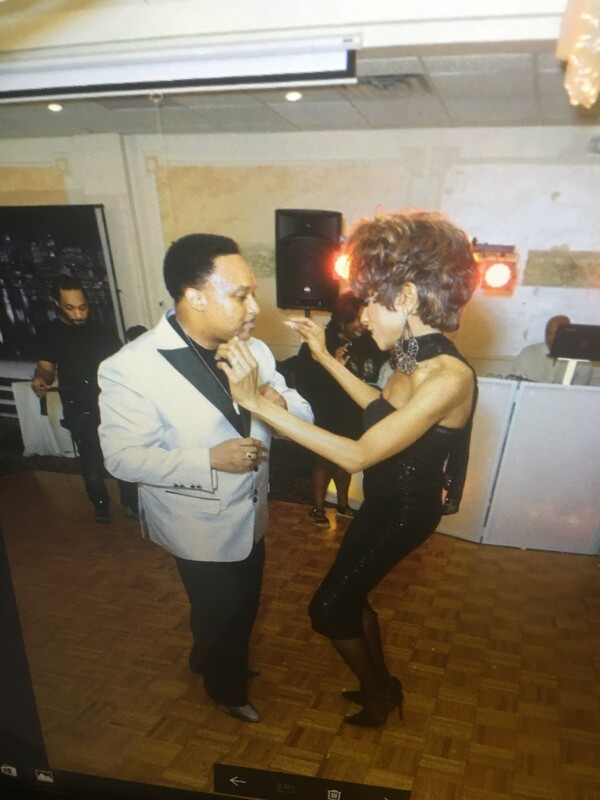 She performed as Whitney Houston for my mother’s 55th birthday celebration! Words can not express how phenomenal this performance was. She was very professional from beginning to end! The performance was stellar, as well as the back up dancers!!!! 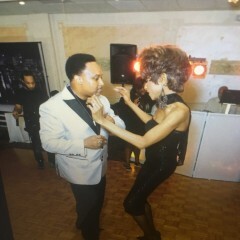 Ms. Sherie had the Moves And Gestures of Whitney down to a T! The guests went nuts over the performance. 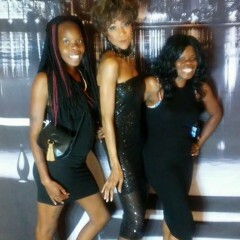 I think one of the guest thought she was Whitney for real lol! Let’s just say this amazing woman can work a crowd. It was as if Whitney Houston was in the room. I’m so grateful that I had the opportunity to work with Ms. Sherie, and I hope to work with her in the future! Thank you Ms. Sheire for making my mom's day special! Very Pleased. She was very good. Yvonne thank you so much for your hospitality and such kind words. Thank you for the opportunity to perform for you and your distinguished guests. Hope to work with you in the near future. Sherie did a fantastic job! Sherie was great at meeting and greeting guests and turning up just enough of the "Whitney Diva" that we needed to make our event a success. I'd highly recommend her! Tony thank you for the wonderful experience I had with the meet and greet. I am happy I was able to represent your throwback radio show and engage your guest in promoting what you needed as "Whitney" one of 80's queens of music. Look forward to future endeavors. Lisa thanks so much for such great compliments. We had an awesome time Performing for the guest of honor. Sherie is excellent! We thought we were at a Whitney concert! You must see her! She was fabulous, I will use her for all of my future events. Sherie Evette Withers is terrific!!! 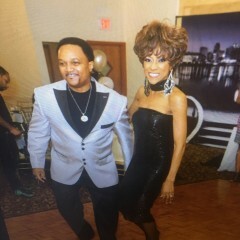 I booked Sherie as a surprise performer at a 50th birthday celebration. 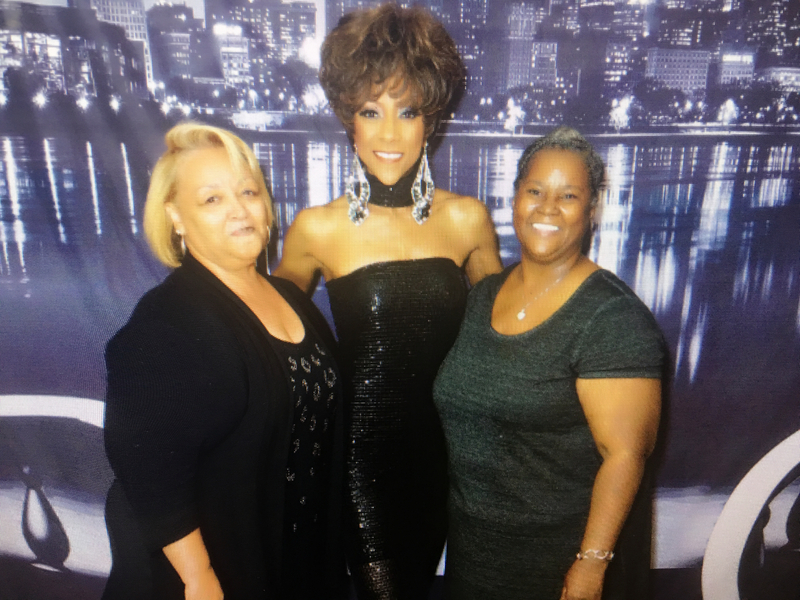 She received rave applause from my 200 guests as she stepped out on the stage and gave a dynamic performance as Whitney Houston!! What a class act! Thank you Donald Ray for such kind words. You and your guest were awesome to perform for. They danced, tipped and wanted to take pictures with me to show their friends what a great time they had. You made my accommodations as far as hotel/flight top notch. Thanks again for all your hospitality. Hope to work with you and your friends again . What A Fabulous, Awesome & Wonderful Performance! Sherie was and is the bomb! My family & friends absolutely loved her. I will definitely book her again. She made my grown son cry tears of joy. He was joyously overwhelmed. Thanks so much for your great reviews. I had an awesome time performing for your son and your family. Is She Sherie or Whitney? IS SHE SHERIE WITHERS OR WHITNEY HOUSTON? The South Side Lupus Organization was in the middle of planning our annual Holiday Dream – Cure for Lupus Dinner Dance. The purpose of this event is to increase lupus awareness and to raise funds that will help support lupus patients and their families. We were brainstorming about meaningful and entertaining ways to increase lupus awareness. 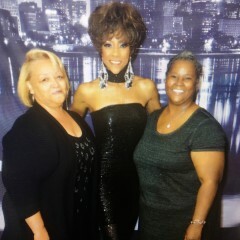 Then I received a message from a lupus survivor named Sherie Withers, a model who does Whitney Houston impersonations. She offered to share her lupus story and perform at our event. Bingo!! We had our perfect act. Sherie is an amazing individual who wants to inspire lupus patients and their families. She feels that we should not allow lupus to control our lives, that though we have challenges, we can still make it and live happily. In fact, the name of her support group (“Living Well with Lupus) exemplifies her feelings. First Sherie held the audience captive by revealing details of her ups and downs with lupus nephritis. Her battle included dialysis and eventually a transplant of a kidney donated by her brother. Then she performed her bold and vivacious impersonation of Whitney Houston. Sherie presented the songs while doing very active dances around the extremely large country club dining room. The audience was amazed and shocked to see that someone who had suffered for so many years was able to perform with such energy. 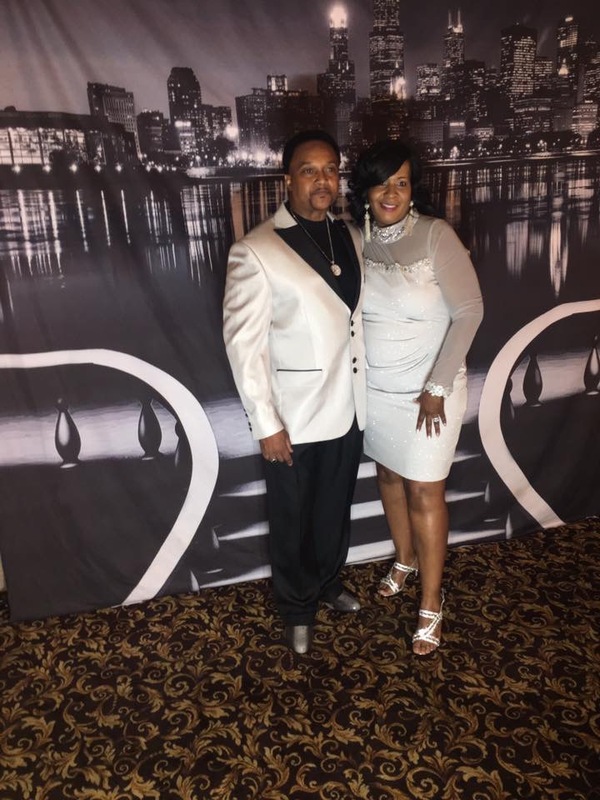 Sherie’s main message is that though lupus is a chronic, potentially devastating and fatal disease, diagnosis does not have to be a death sentence. Sherie and others are proof of that fact. Her performance showed drive, encouragement and gave hope to others. This was a great performance, and it gave members of the audience a realistic peek into the struggles one might endure with the potentially devastating effects of lupus nephritis. Yet it also gave hope for overcoming some obstacles and being alive to “live life well with lupus”. Her total performance was inspirational, educational, entertaining, and very uplifting. It was amazing and unbelievable that she was able to perform so energetically. My hat goes off to Sherie for fulfilling the role of surprise guest who played a big part in making our event a great success. 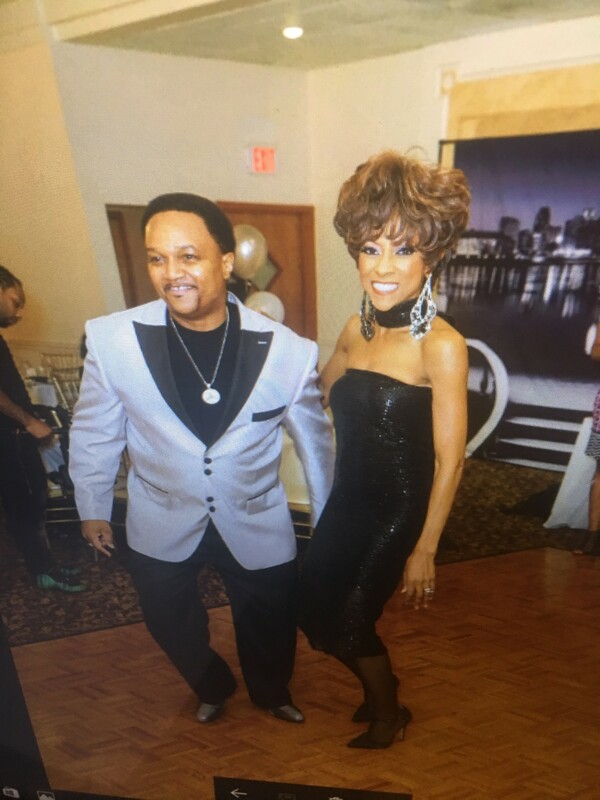 I HAVE KNOWN SHERIE FOR OVER 10 YEARS AND SHE IS THE BEST YOU WILL EVER SEE AS WHITNEY HOUSTON, IF THEY EVER MAKE A MOVIE OF HER LIFE SHERIE WOULD BE PERFECT FOR THE PART. 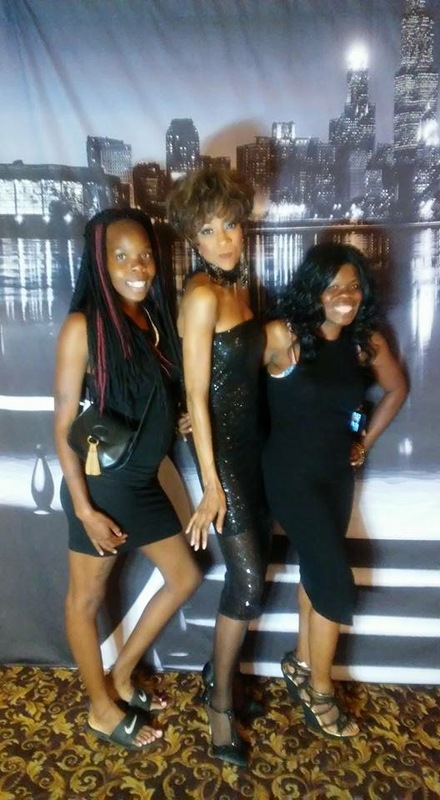 BOOK SHERIE AND I PROMISE YOU WILL THINK YOU REALLY SEEING WHITNEY HOUSTON. Since 1993, the magic begins the moment Sherie steps on the stage. In full makeup, wig, & costume, her ensemble is unique; lip-sync precise; the transformation is complete. The illusion is awesome. Singapore/ Malaysia (7-week tour “Legendary Superstars), Virgin Islands, Paris, Hawaii, Bermuda, Los Angeles, New York, Washington, Atlanta, Miami, Kentucky, etc. It is necessary to have a professional disc jockey or professional sound engineer at your of choice of venue for your event . If available, a spotlight is also requested. Also needed a secure dressing area.